Planting in Summer is a No-No?? Not So! The rule of thumb has always been to never plant in summer, but rather plant in spring and fall when the weather is cooler. As this is a good rule, it is not set in stone. We do the majority of our planting in the summer months as the plants root in very quickly with the warm soil temperatures. It is not a good idea to plant new plantings in the beating sun, but most of the hostas are being placed in shade so that is not an issue. You need to keep everything you plant well watered, especially during dry periods. So, if you are going on vacation for a week after you planted some new hostas, your results may not be gratifying. It is also not a good idea to plant bare root plants in the heat of summer as the roots have been disturbed and it takes time for them to redevelop. Our plants are shipped to you in their container with soil (except for AK, AZ, CA and OR), so you don’t have that issue. The most important ingredient to any garden is water. As we have seen in the news, some of you have an excess of water right now. However, up here in New Hampshire we have not seen rain in quite awhile and we have started to run sprinklers on our hosta beds. 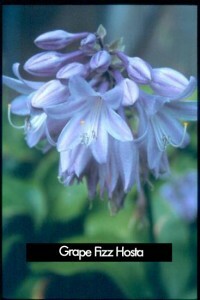 Extreme dry periods can stress the hostas and they will actually become smaller the following year. Early morning is the best time to water as there is less evaporation and the plants dry during the day which helps against fungus and rot. 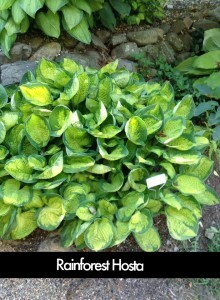 A sprinkler left on for an hour once or twice a week will help the hostas through the dry periods. Don’t always rely on a rain storm as it is difficult to judge how much water was actually absorbed by the ground. We use a rain gauge to know how much rain we got with each storm. We like to see an inch of rain a week to keep the gardens flourishing. Check out our blog post on rain gauges. 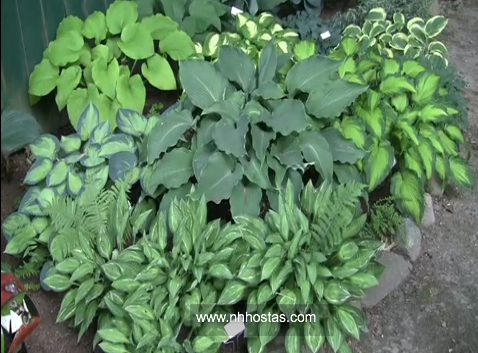 If you do want to plant now, may we recommend some fragrant hostas? The fragrant hostas start to look their best when the summer heat arrives. Soon these beauties will adorn us with their sweet smelling fragrant flowers.